The NAB AFL Auskick program makes learning to play AFL fun, safe and easy for boys and girls. Through weekly coaching sessions they will learn the skills of the game in an exciting, social and safe environment. Children will learn the fundamental motor skills vital for future physical activity and sport participation as well as learning how to interact with other children as part of a team in small group activities. 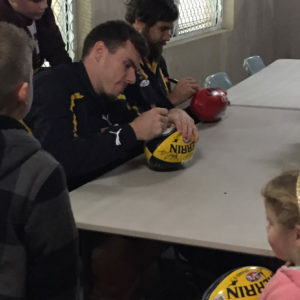 Auskick is for children wanting to learn all the skills of AFL. 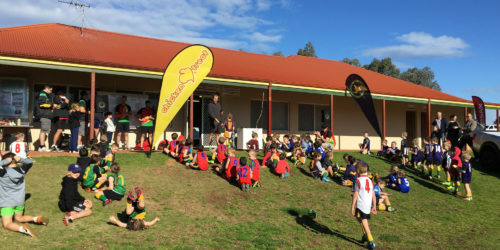 Children in Pre-Primary to Year 2 are eligible to play Auskick. 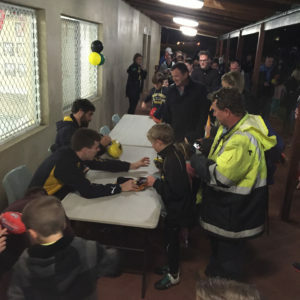 Auskick is for children wanting to learn all the skills of AFL. 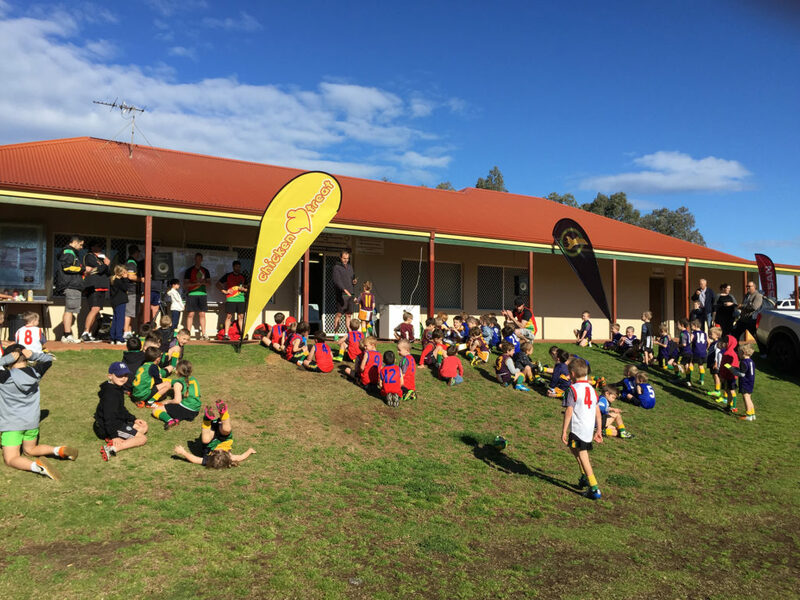 Children aged 5 – 7 years (Pre-Primary to Year 2) are eligible to play Auskick. 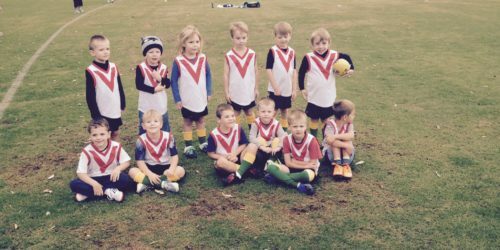 What Age Can I Play Auskick? Where Do We Play Auskick? 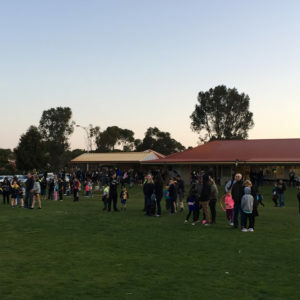 Auskick is played at Windermere Oval in Joondalup. Windermere Oval is on the corner of Blue Mountain Drive and Candlewood Boulevard. 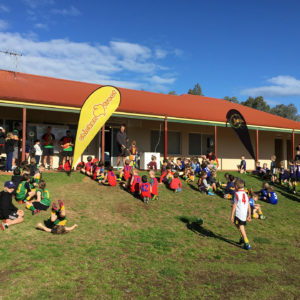 Auskick is played on Saturday mornings. Each age group plays at a different time, beginning at 8am. 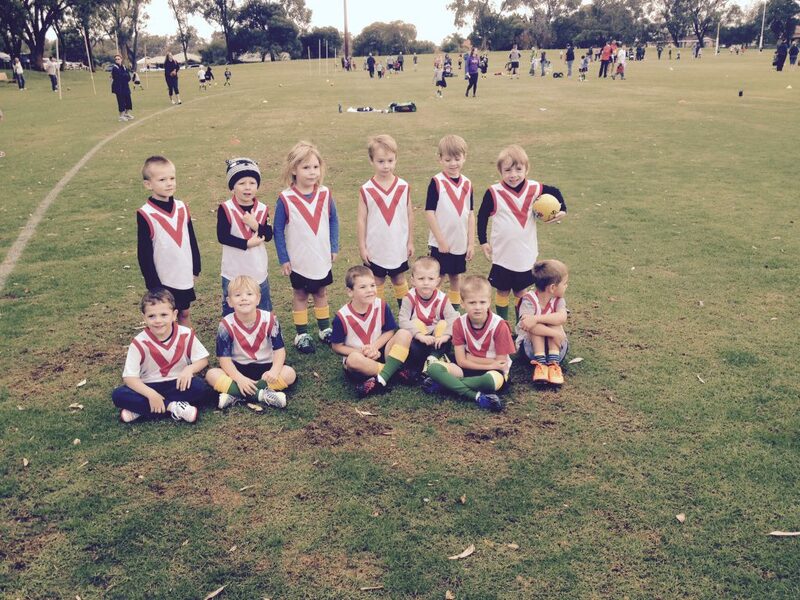 Each Auskick group trains for 30 minutes before playing a game against another JETS team of the same age group. Uniform is not a requirement for Auskick, however you are free to wear the club socks and shorts which are available for sale from our Merchandise store throughout the season. Each Auskicker will receive a playing jumper to loan for the season. This jumper must be returned, in good condition, to the team manager once the season finishes. Club training shirts are also available from our Merchandise store. 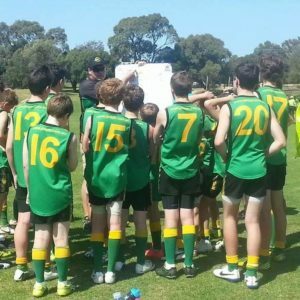 Auskick Fees for 2018 are $165. 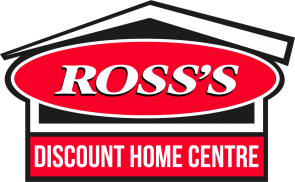 This includes an Auskick Pack that is sent to your house after the registration and payment process are complete. You will also receive a team photo and trophy at the end of the season as well as a beginning of season Fun Day and an end of season Wind Up.